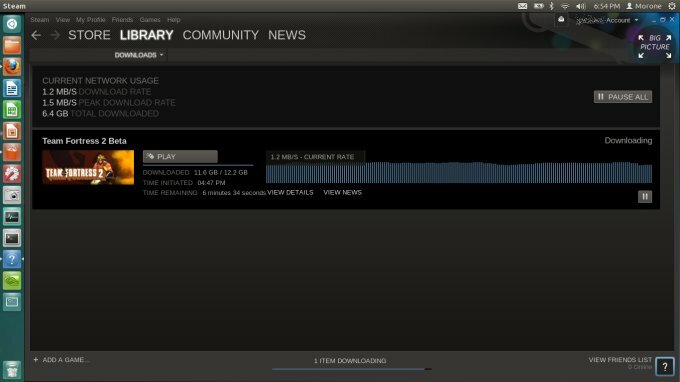 I am most mightily pleased that I was chosen to participate in the Steam Linux Beta program. Or should it be spelled programme? The second one definitely sounds more posh. Anyhow, I've received my email just days ago, and since, I've been working hard on getting the Steam client installed, tested and first screenshots prepared. This is a beginning of a fabulous journey, and I intend to enjoy every minute of it. But we will keep it humble. First, I will show you how to install the client software and configure it properly, then we will talk about the interface, the good and the bad, user profile settings and cross-platform compatibility, and finally take a look at some of the games available in the Linux store. Worry not, we will have a handful of detailed game reviews, too. And then, we will also have several tutorials designed to help users get around common problems of using the beta client. Follow me. Once this step is complete, you can proceed with the .deb package installation. 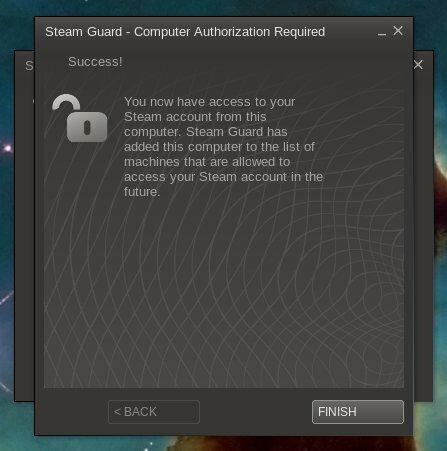 After this step is done, Steam will do its usual self-update, correcting various issues and whatnot. Just like on Windows, this worked fine, and without any problems whatsoever. When you launch the program, you can login with a new account or an existing one. I was expecting the client to force me to reuse my Windows account, but it did not. 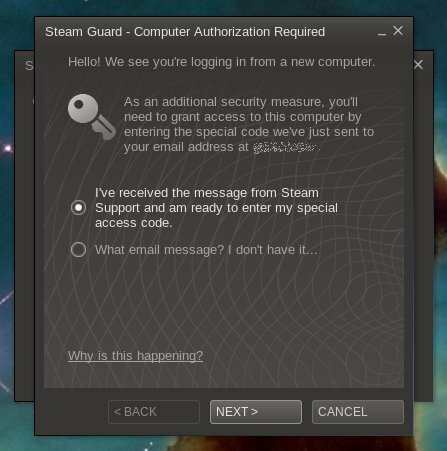 Moreover, the Steam Guard kicked in and asked me for a verification code before it would let me see the client interface. Dandy. And then the client will launch. This is the moment pretty much any gamer slash Linux user has been waiting for since the turn of the century more or less. A monumental achievement, by itself. Awesome. If you look at the interface, it's all there. 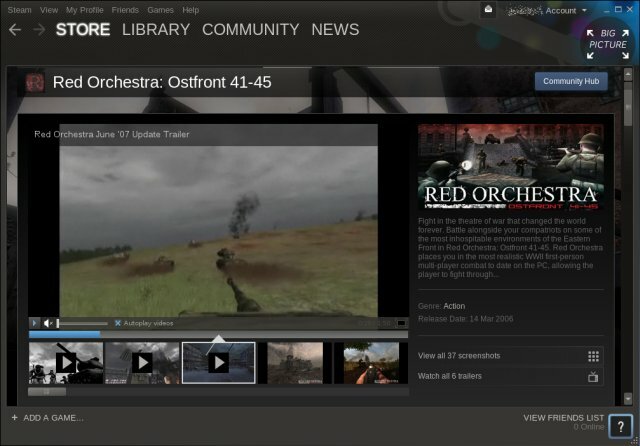 You can catalog your games as Linux-only games or check your entire collection. Incompatible, Windows-only titles will be grayed out and unavailable for installation. 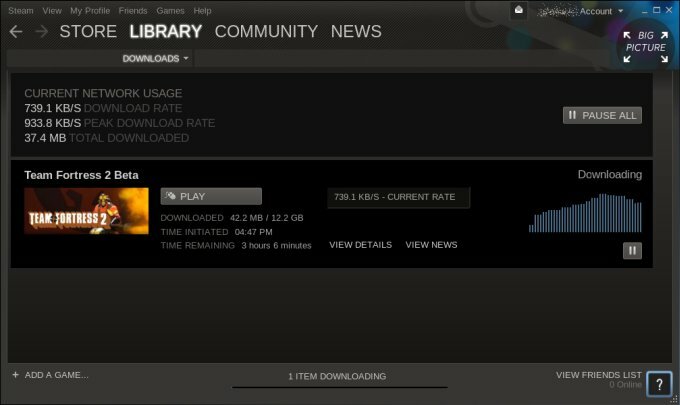 Team Fortress 2 already shows up, as I had it installed on Windows, so the only thing I needed to do here is grab roughly 12GB worth of data. 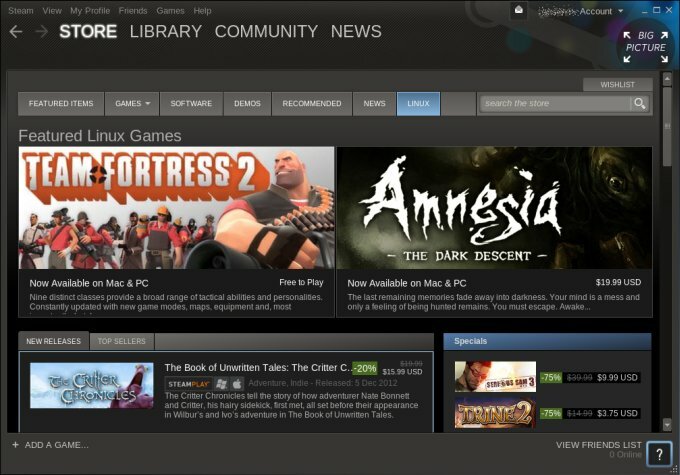 In the store, at the moment this tutorial was written, there were 29 Linux games available, mostly offered at a significant discount from their retail price, revolving around approx. USD9.99 each. So while you do get a beta client and all the privilege and fun of being a pioneer, the courtesy does not extend to getting too many free games. The principle remains the same. Buy what you like and have fun. While browsing through the available repertoire and checking videos and screenshots, I did encounter one error. The Flash Player was not available inside the client. 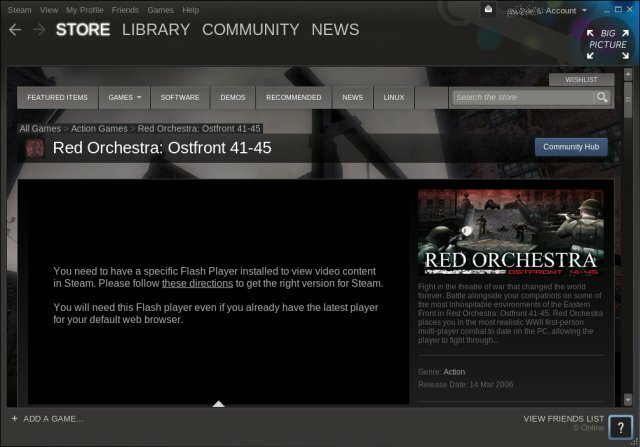 This is an issue that you will encounter if you run a 64-bit version of Flash, which cannot be used with Steam at the moment, until perhaps, a native 64-bit client is created. Now, we will have a separate tutorial that illustrates how to resolve the problem. For now, I'm offering magic. Oh, if you try to follow the available directions, you will fail, as they are intended for Windows users. 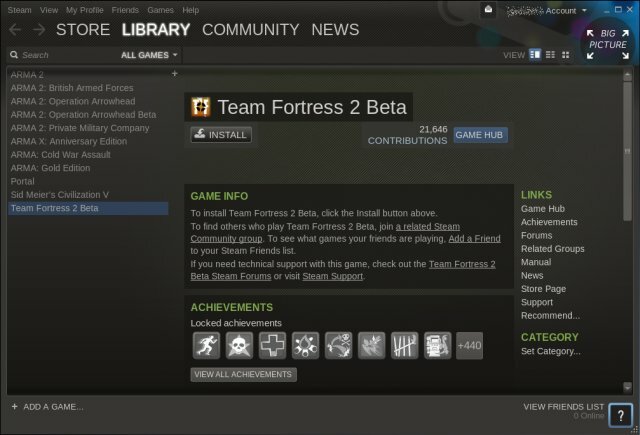 Anyhow, I decided to setup Team Fortress first. 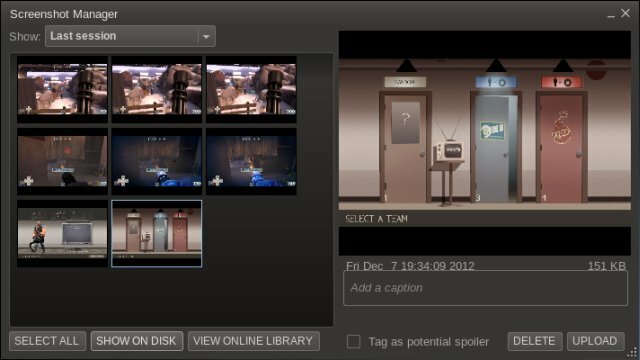 If you've used Steam before, it's simple and familiar. Just hit the right buttons, wait a bit for the game to seed and the download to begin. After a few minutes, I got full and steady throughput. The beta client remained stable during the testing. 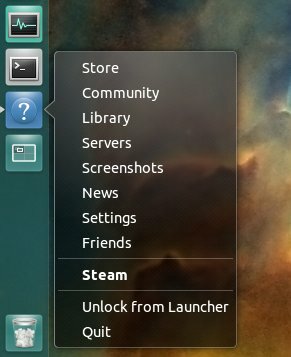 Steam integrates well in the Launcher, and you even get a contextual menu. At first, I did not get a nice icon, but then it sorted itself out on next login. Moreover, the desktop shortcut and the system menu items are just fine. The best part. 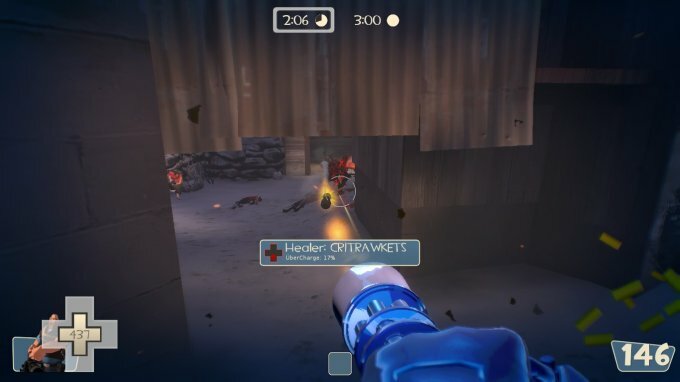 Anyhow, I tested with Team Fortress 2. It's a decent, hefty game. Worked like a charm. Even the in-game F12 screenshot functionality worked as expected. And you get the screenshot manager, too. Everything you would expect from this great software. The one small downsize is that 4GB RAM is a bit too little for this game, as I ended with some 200MB worth of swap being used at the end of a short gaming session. You might be asking yourself what box I used for the testing. Anyhow, it's my HP laptop, with 4GB RAM and Nvidia 320M GT card, which is roughly equivalent to the 9600GT family. Most of the current games will run okay with these specs. 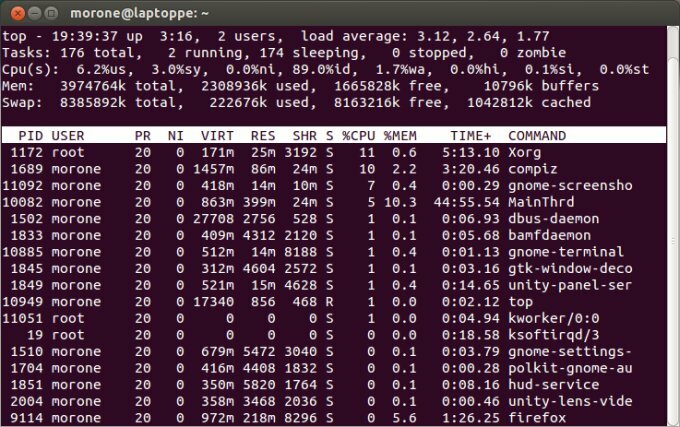 Moreover, the machine has Lucid and Windows 7 dual-booting from its internal drive, and a handful of distros from an external USB disk, with Pangolin in charge of the multi-boot sequence. Other available systems on the disk include Kubuntu Quetzal and Linux Mint Nadia, both of which are running Nvidia 310 drivers without any issues. More in the reading section below. I like it. I like it a lot. 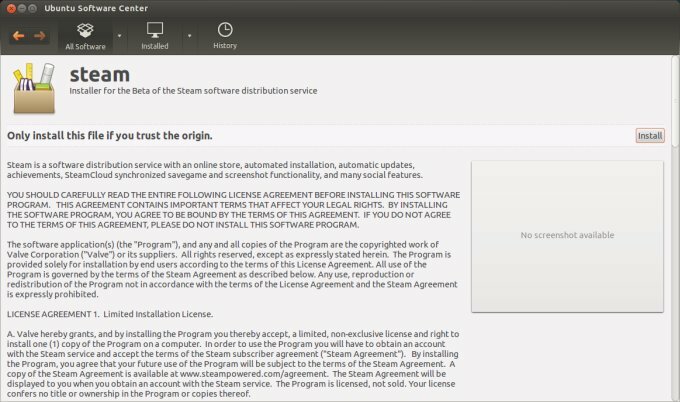 The Steam Linux beta client installation, setup and usage are identical to Windows in terms of simplicity, complexity and overall fun. There are a few small issues, like the Flash, Launcher icon and suchlike, but they are almost trivial and will surely be resolved in the coming days. More importantly, the client looks lovely, it's stable and robust and works well. I did not encounter any crashes, memory leaks, slow performance, or anything of that sort. This is a great beginning, a great promise, and there's so much hope. 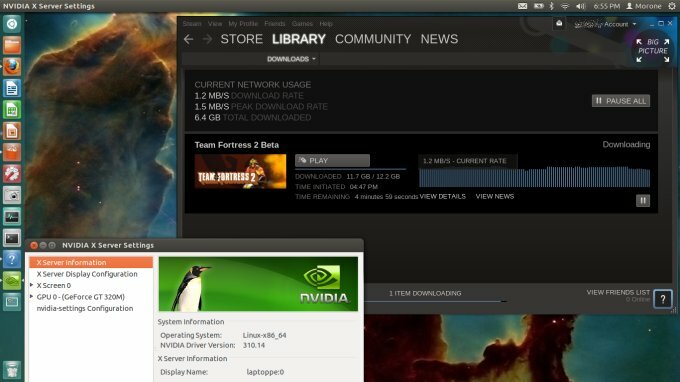 If there's one facet of the computing usage that can really revolutionize Linux, it's the gaming. Hell, I'm using Windows mostly because I cannot run most of my games on various distros. But if I had the option to migrate my entire gaming experience flawlessly, this would mean one less roadblock to nirvana. So to speak. Let's not forget an even more important thing. 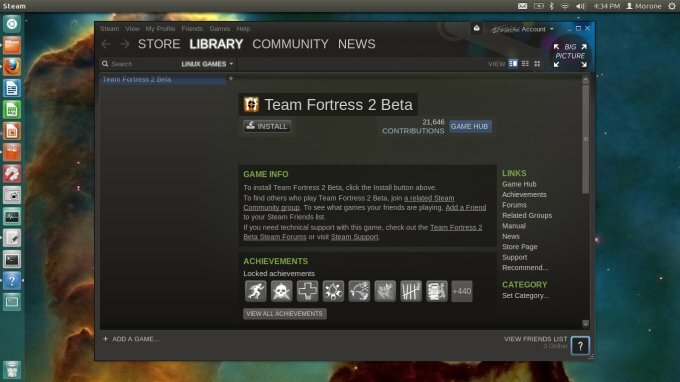 The fact there's a Steam client for Linux, it's the first and last step in recognizing it as a viable system for the masses. Yeah. So we're done here, and Dedoimedo is hugely pleased. 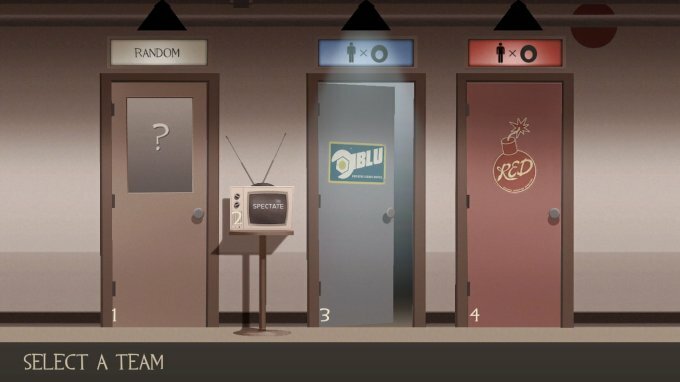 Great work, Steam guys! A handful of tutorials coming soon. And game reviews. Stay tuned.